This 1950’s solid 18k. gold IWC looks pristine. The 33.25mm. 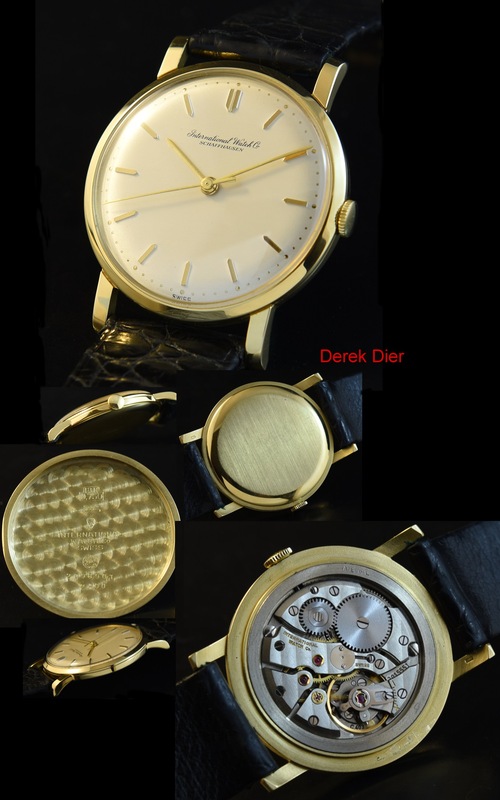 gold case is near perfect and the dial was expertly restored. 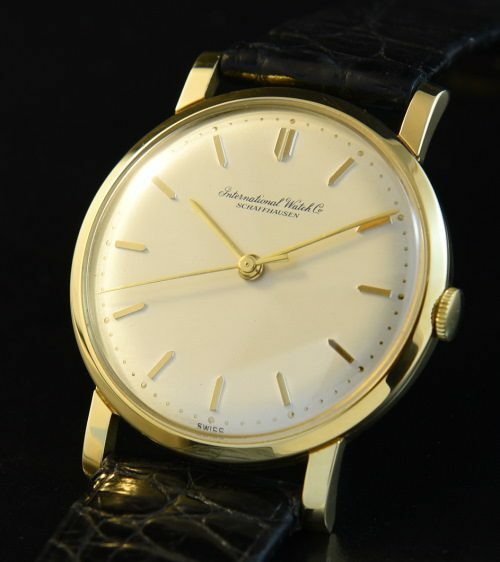 The manual winding IWC movement was just cleaned and is accurate. This is a fine example all around.